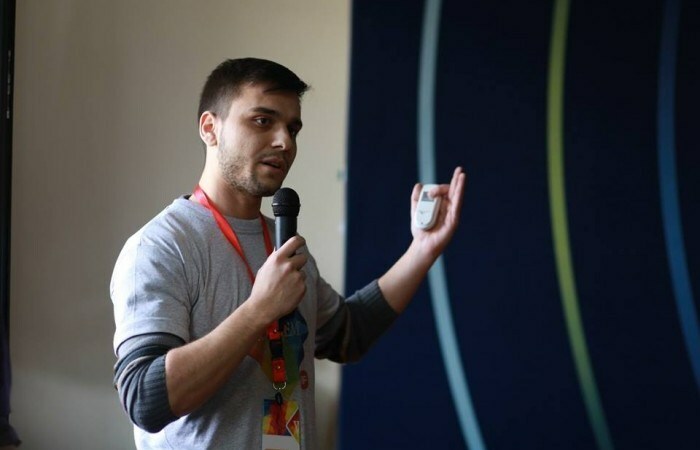 I’m Petrit Augustini, and I currently work as a systems administrator at KosovaJob. I also happen to study psychology, and I read/edit Wikipedia since 2005. The latter activity is the reason IPKO Foundation invited me to speak and mentor at the Wiki Academy II. When I was a kid, I always envisioned an omniscient and organised source where I could find and read everything I wanted about the things that interested me. In the absence of internet, the available information surrounding me was scarce and blurry. The available books/encyclopedias/magazines had information that was dated and static. They only contained the basics of what I was looking for. The mighty internet changed the situation drastically, but the information was still somewhat chaotic and disorganized. Google made the life easier, sure, as it steered you into the right direction. But there was still an informational chaos. You could barely know if the information was reliable, and there was some serious point-of-view (read “biased”) dosage in it. So when a friend told me that he found a website where he could finally find info on anything from a bizarre band he was looking for to the freakiest military aircraft to a small town in Eastern Poland, I knew this was it. It was called Wikipedia, and its database was huge. It got updated every second, and it was written from a neutral, non-exasperating tone. I got hooked immediately. The rest is history, really. Not a long time ago, I got a call from Rineta from IF, who asked if I would like to join their Wiki Academy II as a speaker and a mentor. Until that time, being a Wikipedian was mostly a secluded activity for me. Sure, I made lots of Wiki-communication with other Wikipedians, but all that happened in my room in front of my computer. I had never integrated that experience with the world-out-there. Wiki Academy II offered a new Wiki-dimension. So I accepted the invitation, even that I was undergoing a hectic period in my academic life. In Wiki Academy II, I spoke about two important Wikipedia concepts, notability and neutral point of view. But I think that my main contribution went to the mentoring part, where I really felt the energy and the feedback from the participants. Sharing the knowledge and passion for Wikipedia with others was a really interesting and pleasant experience for me: It was a very special feeling witnessing hundreds of people talking about, writing and editing that which filled me with passion over all these years. The teams were competitive but friendly. They also shared information and sources with each other. Other mentors and translators made some significant contribution to the event. They were on patrol non-stop and everywhere, and made sure to answer everyone’s needs. The atmosphere of Wiki Academy was very nice and friendly. Everyone got along really well. I met new people and revisited some old friendships, including some that came pleasantly surprising. Some unforgettable laughs and moments followed. IPKO Foundation made sure everything went smooth and sound. I have a love for neatly organized events, and Wiki Academy II was one of them. Everything said, I didn’t expect the rate of success that Wiki Academy’s participants achieved. Suddenly we had more than 80 cool articles, some of which were quite the quality itself. In one week, our academy wrote articles that stood head-to-head with some of the best Wikipedia articles that were edited by countless of editors through several years. I came to realize that my participation in this event was one of the most righteous decisions I had ever made. It made me smile for weeks to come. I look forward to the next Wiki Academy.